Discover something special…The purest, highest-quality, authentic, expertly crafted Essential Oils! And for a limited time only you can get these 5 Single Essential Oils with special offer extras for just $69 $39.95! Click the Add To Cart Button below and get the L’orpur Organic Essential Oils Set delivered to your home NOW! You Will Never Again Buy Essential Oils As You Did In The Past! Ever bought an essential oil just to find it not working as well as it should/does? Ever spent double the money to buy high quality essential oils? Ever found something different about two batches of the same essential oil? If you answered even one of those questions with a resounding “yes” or even if one of them managed to get you thinking, you need to read this exposé! Can I be sure the essential oils I bought will work as it should? Am I confident I bought the highest quality essential oils? Can I be positive I did not pay more for these essential oils? Am I sure that my newly bought essential oil will be as good as the last bottle? These are lingering doubts that don’t go away and you are not at fault here! You have been deliberately misled and kept in the dark. But, all of that is going to change today and right now! My name is Olivia Spencer and today I am going to expose the truth about essential oils. The truth that manufacturers of essential oils are spending millions to hide from you. I guarantee that this truth will forever change the way in which you buy and use essential oils. But first, let me ask you an all important question – Why are you even bothering with essential oils? Most people have a very clear idea about why they are using essential oils and it boils down to a single word – NATURE! After all, Essential Oils are the best that NATURE has to offer! Regardless of whether they are used in aromatherapy, applied topically or in a diffuser, the surge in the popularity of essential oils can be pinned on our desire to shift away from the drug and pill happy culture that has enslaved modern society. And, people have realized just how dangerous all those manmade chemicals and drugs are. So, when you think essential oils, you are probably thinking they are free of synthetic chemicals, preservatives, colors and all of that, hence they are safe. But, you are wrong! What if I tell you that NOT ALL Essential Oils are NATURAL! Hear me out before you shake your head in disbelief and shrug off my claim and no I am not working for pharma companies. I am simply somebody who calls a spade a spade. Do You Know How That Essential Oil Was Made? The fact that essential oils are produced either through steam distillation or cold pressing (expression) is well known. No secret there! In both cases, the oil is extracted directly through the processing of botanical ingredients. Hence, you will agree with me when I say that the quality of the plant matter used will have a direct impact on the oil procured from it, right? So, what do you think happens when the plant material used is laced with chemical pesticides, herbicides and fertilizers? After all, chemical products are frequently used to enhance plant yield. Where do you think those chemicals go when the flowers, leaves, bark etc. are crushed and mixed with water for steam distillation? Yes, that bottle of essential oil you have there in your hands contains, if not all, at least a large portion of all those dangerous chemicals. Some of these are known cancer causing substances and guess what you are doing? You are applying them on your skin and giving them direct access into your body and blood stream. 1. Do they have lab test results confirming this? 2. Have clinical trials been conducted to certify it is safe to use oils laced with these chemicals? 3. But here is the most important question of all – Are you willing to take the risk? Essential oil derived from organic plant material may not be all that organic! The essential oil part of the mixture in that bottle is organic. The plant material used was organically grown. Where Does It Say That The Fluid In The Bottle You Are Holding Is Pure, Unadulterated Essential Oil? Pick up a few random bottles of essential oils from a health food store. In fact, specifically choose those with labels that read “organic” in bold. Chances are when the contents of these bottles are checked, they will contain propylene glycol in varying amounts, typically 70-80%. So, yes the 20-30% of the oil content is organic essential oil. But, what about the 70-80% propylene glycol, which is very much a synthetic addictive? If you don’t get adulterated oil, chances are you will get a hosed down version of the product. It is not beneath manufacturers to mix essential oils with fragrant oils to lower their costs. After all, how will the user ever know? And, it is true. Unless you are an expert at aromatherapy, you will never know the difference because the fragrant oils smell remarkably similar to the essential oils. In fact, this is a common practice when it comes to expensive essential oils like those of rose and sandalwood. Unfortunately, the treachery and unscrupulous means don’t end there!! The extraction method: We all know steam distillation is the best way to get organic and pure essential oils. But, what you don’t know is that the yield through this process is a mere pittance of what manufacturers get when using solvent extraction. Typically, acetone, hexane, ethyl alcohol or di-methyl chloride are used as solvents. And, these do find their way into the final product, despite what the manufacturers would have you believe. The only way to derive essential oils through solvent extraction, without chemical residues, is through a process called supercritical extraction that employs carbon dioxide as the solvent. But, this process and the machinery needed for it are extremely expensive. So, fat chances any of the essential oil manufacturers are actually using it. Metal used in extraction plant: Essential oils also get contaminated when parts of the manufacturing plant are made of reactive metals such as copper or aluminum. Of course, product makers seldom bother to apprise their consumers of this little fact. Storage and packaging: Finally, if these aromatic compounds are stored in plastic or metal containers, this too leads to contamination. But, what if you have bought an expensive, organic essential oil? Right at this point, you are probably giving yourself a pat on the back for buying the uber expensive, all organic essential oil from a top manufacturer. After all that money you paid, the oil must be nothing short of miraculous! I mean you only about spent 3-4 times more to buy the best essential oil that money can buy. So, it has got to be the best. Well, I hate to bust your bubble but most expensive does not equate to the highest quality. Without a doubt organic anything, be it veggies, fruits, grains or essential oils, is better than non-organic produce. So, health and environment conscious consumers are willing to pay top dollars for organic oils and products. In fact, the demand for organic essential oils has spurred manufacturers to use this term as the perfect lure! Unfortunately, what they are selling to you is not a top quality product. They are selling the misconception that if it is organic it must be the best! But, Are You Sure That Your Organic Essential Oil Is Of The Highest Quality? No! Organic does not mean best or of the highest quality or even the most effective. At the risk of sounding like a broken record, I am going to repeat myself – Organic, in case of essential oils, simply means a product that has been protected from chemical contamination within reason. So, your essential oil can be of poor quality despite being organic! Temperature and pressure modifications: You get the complete therapeutic benefits of an essential oil only and only if it is extracted at low temperature and pressure. But, this means lowering the output, by hold your breath, a massive 20-70%. Do you actually believe commercial manufacturers would take such a hit in the interest of their customers? No, they don’t and when these oils are extracted at higher than required temperature and pressure, they lose many of the beneficial phytochemicals. So, you are left with substandard albeit organic essential oil. Multiple distillations: Similarly, for some essential oils like that of ylang ylang, peppermint and others only the first distillation offers maximum therapeutic value. But, this again means lowering the yield. So, manufacturers do not think twice about running the same botanical ingredients through the distillation unit not once or twice but five or more times. The first distill is mixed with the oils obtained from subsequent distillation cycles. The end result is that you get a poor hosed down version of the essential oil that you should be getting for the price you paid. No indigenous sourcing of botanicals: This one is actually used as a selling point. Manufacturers proudly claim that they get their plant matter from farms in the United States, which helps them to exercise control over the quality of the raw material. Actually, they are doing their buyers great disservice by not sourcing the botanical ingredients indigenously. The soil, the weather, the water all make a profound difference to the quality and the benefits of the essential oil that is extracted from the plant material. Contrary to what these manufactures are telling you, plants that are grown in their native soil and environment offer the maximum therapeutic value and are really the best. Tampering with the chemical composition of the oils to make them smell better: Finally, these so called organic manufacturers have succumbed to the commercial strategy of making their products more palatable. In a bid to make these oils more appealing, artificial fragrances are added and essential oils are additionally treated to remove certain phytocompounds so that they smell better. To cut a long story short, even after paying all that money, you are far away from getting the top quality product that you were promised! And, how many times more did you pay for that essential oil? Was it 3X or 4X? After reading all that you are bound to wonder how these companies get away with such unethical practices and blatant lies. They cheat on the test: They send the top notch stuff to the certification bodies that test these products and issue quality and other certificates. But, who said you are getting the same top quality oils? It is common practice to buy pure, unadulterated essential oils for the sole purpose of certification. And, once these manufacturers earn the certificate, they simply bottle the low quality stuff and sell it with the seal of quality, which was unscrupulously earned. The FDA does not care: Another reason for rampant malpractices is the loose standards that the FDA employs when testing alternative products. In other words, neither the FDA nor the manufacturers are working in your best interest here! What if I tell you that you can get high quality, pure, organic essential oils? What if I tell you that I can vouch by the manufacturing practices used to extract the essential oils? What if I tell you that you would pay a fair price for these essential oils? I say Possible with the The L’orpur Essential Oil Starter Kit! 5 essential oils that cover all the bases! 4 of them are US-certified Organic and 1 is Wild Crafted! All top quality and offered at one half the price charged by other brands! The purest, highest-quality, authentic, expertly crafted Essential Oils! And for a limited time only you can get these 5 Single Essential Oils with special offer extras for just $69 $39.95! Click the Add To Cart Button below and get the L’orpur Organic Essential Oils Starter Kit delivered to your home NOW! How can I say these things with such certainty? Because it is a product that I developed after almost 18 months of intense research, innumerable trials and significant investment of both time and money. Initially, all that effort was to find the best source of high quality, organic and pure essential oils for my own use. Like any other newbie, I went through the grind of hopping between different essential oil manufacturers. Regardless of what I was buying and who I was buying it from, I noticed that one thing stayed constant – Change in results! I would buy the same oil twice over from the same company and the results would be totally different. If the first bottle would give me “WOW” results, compelling me to buy again, the second time around I would be disappointed by the “meh” effects. Some manufacturers were willing to talk about this discrepancy, while others dismissed my claims as cynicism. Those that were willing to discuss it pegged the dismal results down to the natural chemical differences between two batches. Frankly, I was not convinced with their answers but my wakeup call came when I actually developed an allergic reaction to an essential oil that I had used dozens of times. I had just bought a new bottle of peppermint oil and used it after appropriate dilution. So, there was no reason for my skin to break into an angry rash. For one whole day, while I was panicking and really needed to talk to somebody, all my attempts to connect with the manufacturer were in vain. They sure did take their own sweet time to respond back. After a wait of more than 24 hours, when they did get in touch with me, they wasted no time in telling me that it was all MY FAULT! Now, at this point I had already using essential oil blends for many many years. So, I knew all about blending and dilution. Call it a high appetite for risk if you will, but I had a few drops of peppermint oil from an old batch. I mixed them with the first carrier oil I could lay my hands on and applied it on the rash and redness and guess what? In a few hours, it was gone and my skin was back to normal! Peppermint essential oil to cure an allergy caused by the same oil? Really? That did not make sense; unless of course my new, expensive purchase was more than just pure peppermint essential oil. After that experience, I was hell bent on finding and using quality oils. It took 18 months of buying, testing and trialing, talking to manufacturers, visiting farms and manufacturing plants and more. But, the end result was worth the effort. I had my sources of pure, organic essential oils that I could buy without breaking the bank. My decision to let everybody enjoy the fruits of my labor! For almost 6 months after my find, I kept the information to myself. But, when my site visitors started complaining about the quality and exorbitant prices of essential oils – I could no longer keep quiet! These were people who trusted me and relied on my advice. At first, I offered small samples to a select group of visitors, without telling them about the origins of these oils. They were so impressed by the quality and the performance of these essential oils that soon word spread around and everybody wanted them. That is when the idea struck me that I owe it to my readers to offer them not just advice on how to use these oils but also a source of quality oils and that is how the L’orpur 5 Essential Oil Kit came to be. Continue reading to find what is on offer and my logical and unbiased explanation of why you should consider L’orpur essential oils. 5 Essential Oils For All Reasons and Seasons! Lavender essential oil extracted from organic Bulgarian Lavender sourced from Bulgaria and manufactured in the USA. Peppermint essential oil, organic, first distill sourced from and manufactured in the USA. Lemon essential oil, organic and steam distilled sourced from and manufactured in the USA. Eucalyptus essential oil extracted from organic Eucalyptus Globolus sourced from Spain and manufactured in the USA. Tea tree essential oil wild crafted from botanicals sourced from Australia and manufactured in the USA. Why Should You Consider The L’orpur Essential Oil Starter Kit? Not the cheapest but certainly affordable: L’orpur 5 Essential Oil Kit is certainly not the cheapest product of its kind. But then again, it was never my goal to cut corners, compromise on quality and offer a dirt cheap product. The L’orpur 5 Essential oil kit is affordable enough to be purchased by everybody. Both the quality and the quantity of the oil, make this kit a high value product for those who use essential oils regularly and also for those who use them occasionally. We are very serious about quality: Stringent quality control checks are employed at every point in the manufacturing process to ensure that the final product is 100% contamination free. At Le Web, we ensure that the oils are distilled at both low temperature and pressure so that our clients get the greatest therapeutic value. Organic all the way: Plant material obtained from indigenous sources as well as the raw material procured from the US, Australia and Europe is all 100% organic. No chemical fertilizers, pesticides or herbicides are used at any time during the growth or the harvest cycle of these botanicals. L’orpur has been certified Organic by Oregon Tilth in the USA. Top quality time after time: Because with L’orpur you get 100% pure, organic, therapeutic grade essential oil, there is no difference in quality, whether you buy the first time or the 100th times. All our oils are put through numerous tests to ensure that our clients get the same natural goodness in every bottle of oil they buy. Indigenously sourced raw material: L’orpur’s Lavender oil is extracted from Bulgarian lavender which is the best in the world. When compared to French lavender, the violet blooms from Bulgaria have a mild yet rich, clean, herbaceous and floral fragrance. In terms of therapeutic value, Bulgarian lavender contains high quantities of both linalyl and linalool, which makes it exceptionally gentle on the skin and the senses but tough on inflammation. Similarly, Eucalyptus Globulus, which is used to make L’orpur’s eucalyptus essential oil, has a refreshing and clean aroma with a cineole content of 60-70%. The Tea Tree oil is wild crafted, which means the plant material is derived from its natural environment. These trees grow in the wild and are not planted or harvested for commercial reasons. From an organic point of view, it means oil of the best quality because the raw material has never been exposed to any type of pesticides or fertilizers. So, this is Mother Nature’s offering at bits purest and best. Plus, the fact that these botanical raw materials are sourced from indigenous countries means they are jam packed with beneficial phytocompounds, more so than oils derived from locally grown plants. Lifetime support: And here is l’orpur’s biggest commitment to both quality and customer service. As you know, we offer lifetime support and your query will be answered within 24 hours. If you ever have a problem with one of our oils or have a question about essential oils in general, we are just an email away. What Is So Different About L’orpur As A Brand? Commitment to both quality and customer service. Our core aim to keep prices affordable, without compromising on the quality or availability of the essential oils. Only first distill essential oils offered where subsequent distillations impact product quality. How And Why Am I Offering L’orpur Essential Oils At These Rates? At Le Web, we believe that a quality product offered at affordable prices is the best form of marketing. We would rather sell 10 bottles of essential oil at affordable rates and have 10 happy customers talking about our products than selling one very expensive bottle of a particular oil. We can afford to keep our rates affordable and reasonable although our quality is unrivaled simply because we employ efficient costing techniques. L’Orpur never deals with middlemen when procuring raw materials. This gives us greater control over quality and pricing. Moreover, we majorly rely on word of mouth marketing. So, we don’t have to pay for expensive advertisement. All of these savings are ultimately funneled to our clients. Finally, we keep our profit margins reasonable. Although this is a for-profit venture, L’Orpur stands by its ethos of affordability and quality over profitability. So, we are committed to keeping our prices as low as possible, without impacting the quality of our oils. But, Why 5 Essential Oils, Why Not One? The L’Orpur Basic Essential Oil kit contains 5 of the most popular and widely used oils. From beating the blues to tackling muscle pain and from clearing your complexion to dealing with chest congestion, these oils will do it all. Also, single oils are more expensive than kits. 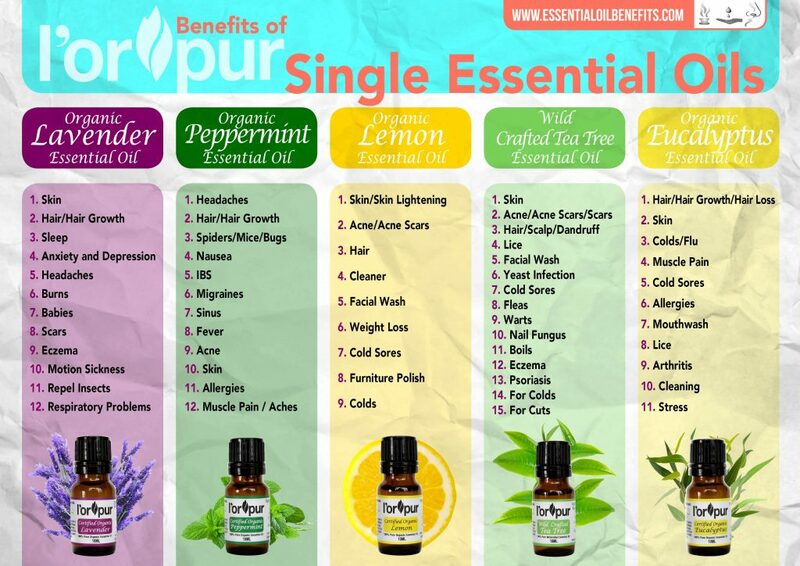 In fact, you save $$$ when you buy L’orpur’s 5 Essential Oil kit instead of single oils. Still Not Convinced About The L’orpur Essential Oils Starter Kit? Doterra is charging $111 for the very same oils. But the problem is that their botanicals are sourced from within the US. Plus, the candy cane smell of their peppermint essential oil is a telling indication of complete distillation and a compromise on the final therapeutic value of the oil. When you buy the l’orpur Essential Oil Kit, you save a whopping $63 over the cost of Doterra oils! Young Living charges $95 for these 5 oils and they too source their botanical ingredients from US farms. When you buy the l’orpur Essential Oil Kit, you save a whopping $47 over the cost of Young Living essential oils! Actually, with the L’orpur Essential Oil Starter Kit you pay less than $4 per oil! Let me tell you how. For a limited time only, you get loads of extra goodies completely free with the 5 essential oils kit. The carry bag: A $9 value product that will help to keep those glass bottles safe and protected from exposure to light. You will never again have to go looking for that tiny glass bottle of essential oil in your vanity drawer. With this case, all your essential oils get safely stored in one place and you can carry them around with relative ease. Free shipping: While our promotional offer is on, you don’t pay anything for shipping within the United State. Yes, I am talking completely free, which means additional savings of $5-$8 on your total cost. International shipping is only $9 per kit. Free catalog of 50 essential oil recipes: Learn how to get the most from your essential oils with this free eBook that has 50 recipes for relaxation, skincare, hair care, home cleaning and more. This is a $10 product, which is 100% free exclusively for the buyers of the l’orpur 5 Essential Oils kit. Free Guide on the uses and benefits of the 5 essential oils: The booklet contains in depth information on the benefits of lavender, eucalyptus, lemon, peppermint and tea tree oil along with how these can be used in health and home care. This again is a $5 product that you get free with your l’orpur Essential Oils Kit. Your total savings come to a massive $29 or more! This means that you are only going to pay $18 for the essential oils and that works out to less than $4 per oil. I guarantee you are not going to find high quality, 100% organic, therapeutic grade essential oils at that cost anywhere! You will find substandard and non-organic oils sold for way more than that. But, why settle for less when you can get the best? Order your kit of l’orpur essential Oils today and get quality at the most affordable rates. Remember, this is a limited time offer. The prices and the free goodies will only be offered till stocks last. So click to order your l’orpur Essential Oils Kit right away! What Does L’orpur Organic Essential Oils Kit Include? If you are beginner in the world of Aromatherapy, you’ll definitely want to make friends with Lavender essential oil, also known as “first aid kit in a bottle” and “swiss army knife” of essential oils. Lavender is cultivated all over the world: Bulgaria, UK, USA, France and Australia. Bulgarian Lavender is grown in Bulgaria, famous for growing and distilling some of the world’s finest flower essential oils in the world at heights of up to 5,000 feet. For my kit, I hand-picked Organic Bulgarian Lavender Essential Oil as it was purest and highest quality lavender I could find and the closest you’ll get to fresh lavender, i.e. it was a real standout. The L’orpur Organic Bulgarian Lavender Essential Oil has been sourced from organically grown plants in Bulgaria and extracted by steam distillation from the fresh flowering tops. It has been meticulously tested in order to bring you nothing but the best. It has a fresh, herbaceous fragrance with a rich sweet yet subtly woody and mellow top note of strong floral, and fruity aroma. 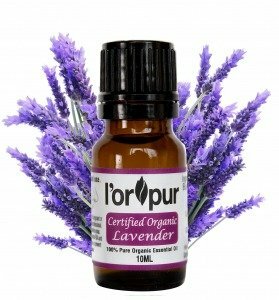 In my humble opinion, L’orpur Organic Bulgarian Lavender Essential Oil is the best there is in the world! Lavender essential oil is a highly potent oil derived from the lavender plant (“lavandula angustifolia”). Traditionally, the oil from lavender plants has been used to make perfumes and potpourri, but through the extraction of the essential oil, this wonderfully fragrant flower has found multiple uses in the practice of aromatherapy, as well as a wide variety of daily applications around the household. Lavender essential oil is a thin clear colorless liquid with a tinge of pale yellow. Lavender is commonly used in aromatherapy due to its pleasant, calming fragrance. Essential oil enthusiasts commonly rub lavender essential oil on the forehead, temples, or behind the jaw to ease stress. Besides, avid essential oil users swear by this potent oil’s ability to bring on a greater sense of mental clarity. Lavender has cell rejuvenating properties as well as a balancing and harmonizing effect on the skin. This makes Lavender an exceptional oil for use in cosmetics where it balances the production of sebum from the oil glands making it invaluable for both dry and oily skins. Lavender is a powerful antibacterial agent, which is why it is often mixed with other natural surfactants in order to create highly effective household cleaners. With just a few drops of lavender essential oil, you can disinfect wounds and promote efficient healing of an infected area. Lavender has strong anti-fungal properties, which makes it a great natural remedy for certain fungal infections such as ringworm. A few drops a day rubbed onto ringworm-infected skin can bring soothing relief from irritation, as it eliminates the fungus that is the source of the problem. One of the less known uses for lavender essential oil is for arthritis, rheumatism, muscular aches, pains and sports injuries due to its anti-inflammatory and analgesic properties. Lavender essential oil is a fantastic weapon to have in your arsenal if you’re fighting acne. This troublesome skin condition is characterized by large red bumps or raised sores on the skin (primarily the face) that are largely caused by bacterial infections in the sebum glands. Lavender essential oil attacks the bacteria that is the root of these infections, not only preventing acne flare-ups, but also bringing healing to areas that have been affected by acne. And since lavender oil is a known anti-inflammatory agent, is often used to treat skin disorders caused by inflammation such as psoriasis and eczema. Hair loss is a bothersome, stress-inducing condition that millions of people suffer from around the world. By using lavender essential oil as part of a stimulating daily scalp massage, it is possible to regrow hair in areas where it has been thinning. While this treatment can be lengthy in duration (sometimes it can take many months), it has been proven to be an effective natural remedy for alopecia. Lavender essential oil has long been known as an effective treatment for insomnia. Multiple studies have shown that doing something as simple as placing a few drops of lavender essential oil on your pillowcase can increase the quality and regularity of your sleep by a significant degree. In fact, many people have abandoned the use of sleep aid medications altogether in favor of lavender essential oil! Anxiety and depression are conditions that millions of people suffer from, many of whom have not even been officially diagnosed. Lavender essential oil benefits the nervous system by way of its calming scent, which eases anxiety and restlessness while also boosting mental activity and acuity. Scores of studies have shown that lavender essential oil has a significant impact and influence on the autonomic nervous system, which is one of the reasons why it is commonly used to ease stress and tension, improve cognitive function, and alleviate arrhythmia (irregular heartbeat). Lavender essential oil is commonly used to alleviate several and different types of pain, including headaches. Essential oil enthusiasts often recommend rubbing lavender oil on the forehead, into the temples or behind the jawline in order to soothe a pounding headache, migraine headaches, sinus headaches and tension headaches. Burn relief is yet another benefit of this versatile essential oil. Lavender oil helps to facilitate the healing of scar tissue and formation of new tissue, which in turn, speeds up the healing process of various burns and sunburns. You can add a few drops of lavender essential oil to your baby’s bath water at night to induce a calm and relaxing feeling that will help them go to sleep. Also try putting a couple of drops of lavender essential oil on their pillow case or their favorite stuffed animal to help them drift off into a peaceful nighttime rest. As mentioned earlier, lavender essential oil aids in the development of scar tissue, bringing faster healing to the affected area and efficiently repairing the skin. Eczema is a condition in which your body’s autoimmune response overreacts to a perceived threat, causing inflammation of the skin by way of itchy red bumps. You can add lavender essential oil to a carrier oil such as sweet almond oil, and then apply the blend on the affected area to alleviate itching and dryness. This same oil mixture can be used to alleviate skin irritations caused by environmental allergens, excessive humidity or heat. If you are particularly prone to motion sickness, you can apply lavender oil to various pressure points on the body such as your face, temples and wrists to relieve the nausea, dizziness and disorientation that can come from this bothersome condition. Instead of spraying insect repellents containing questionable chemicals on your skin, rub a few drops of lavender essential oil on the neck, arms and legs to repel flying critters, insects, fleas, mosquitoes, etc. Many people also use lavender essential oil on their mattresses as an effective treatment for bed bugs. Being a natural anti-inflammatory agent, lavender essential oil is often used to relieve common respiratory problems such as asthma, bronchitis and whooping cough. To treat these kinds of conditions, the oil is typically vaporized and inhaled, or it is applied to the skin of the chest, neck and back. The antibacterial properties of lavender oil can also provide an effective weapon against respiratory tract infections. As you can see, there are dozens of useful applications for L’orpur organic Bulgarian lavender essential oil. Start integrating this powerful natural substance into your daily lifestyle to produce positive changes for you and your family! Peppermint essential oil is a natural substance that is derived from the peppermint plant (scientific name: “Mentha x Piperita”), which is actually a hybrid species comprised of water mint and spearmint. The essential oils from the flowering portions of this plant are extracted and collected using a process known as steam distillation, and they are well known for being highly potent due to their high menthol and menthone content. For my kit, I chose Organic Peppermint Essential Oil grown organically in USA as it was purest and highest quality peppermint oil I could find and the closest you’ll get to the peppermint plant. 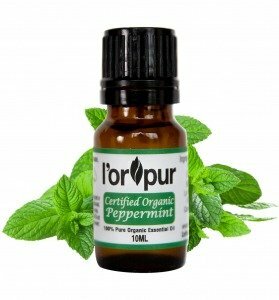 The L’orpur Organic Peppermint Essential Oil is extracted by steam distillation and has been meticulously tested in order to bring you nothing but the best. It is a thin clear colorless liquid with a fresh, herbaceous, sharp, sweet, minty aroma. There are plenty of aromatherapy and topical uses for peppermint essential oil, and its powerful antimicrobial properties have been well-documented for decades. Scientific researchers regard peppermint oil as one of the most versatile essential oils on the planet, as it offers an extensive range of benefits for the body and mind. Archaeological evidence has revealed that the benefits of peppermint oil were known even by ancient civilizations; in fact, records of various applications for peppermint oil have been discovered in writings that date back as far as 1000 B.C.! Most people are familiar with the cooling property of peppermint essential oil, which can produce a calming and relaxing effect on the body. This is one of the reasons why peppermint oil is popularly used in the practice of massage therapy, and it is frequently utilized in hot baths to produce an invigorating and uplifting aromatic steam. Peppermint oil is also a popular choice for aromatherapy applications, as inhaling diffused peppermint oil has been known to offer relief for sinusitis, colds, congestion, and bronchitis. Its role as a natural expectorant makes it a prime candidate to help clear the sinuses and aid in respiratory function. Peppermint oil is also commonly used in topical applications as an analgesic and anti-inflammatory remedy, and it is frequently recommended by holistic practitioners to help ease pain, muscle spasms and cramps. One of the most interesting uses of peppermint oil comes by way of its effectiveness as an insecticide. For example, if you’re dealing with an ant infestation in your home, put a cotton ball soaked with peppermint oil in the pathway where the ants tend to travel, and you’ll be surprised at how quickly they will abandon their post! People who are prone to headaches will appreciate the natural relief that peppermint oil can bring due to its menthol content. Combine 2-3 drops of peppermint oil with a tablespoon of a carrier oil (e.g., almond oil or coconut oil) and rub it on your temples, forehead and the back of the neck to offer a cooling and soothing sensation. A study found that peppermint oil is just as effective as paracetamol when used to treat tension headaches. Peppermint essential oil has invigorating properties that can stimulate circulation in the scalp, which helps to promote follicle health. You can also add some peppermint oil to your regular shampoo to rejuvenate damaged hair and boost its natural thickness. There aren’t too many critters that enjoy the scent of peppermint oil, and for most creepy-crawly things, peppermint essential oil acts as a natural repellent. You can combine peppermint oil with cinnamon, geranium and lemongrass oils to create a natural mosquito and bug repellent that can be safely applied to the skin. You can also place small bowls of peppermint oil in areas where spiders and mice might hang out, and you’ll see how quickly they will vacate the premises! Peppermint oil brings a type of mental clarity that’s hard to beat, which is why it is often used to help cure nausea. Just a couple of dabs of peppermint oil on the temples and forehead can bring much-needed relief for those suffering from dizziness and nausea. Studies have revealed that peppermint essential oil taken in capsule form is highly effective at relieving symptoms of irritable bowel syndrome (IBS). In fact, according to one study, 75% of participants experienced a 50% reduction in IBS symptoms after taking edible peppermint essential oil in capsule form. Peppermint oil can bring much-needed relief to people suffering from debilitating migraines. Applying peppermint oil to the temples, forehead and behind the jawline can ease many of the symptoms of migraines, including sensitivity to light, nausea and vomiting. People who suffer from sinus-related allergies will really appreciate the natural ability of peppermint oil to relax the muscles inside of the nasal passages. Inhaling diffused peppermint oil combined with eucalyptus oil and tea tree oil can help reduce various allergy symptoms, providing extra fortification during peak allergy seasons. Peppermint oil can act as a natural fever reducer due to its cooling effects. You can rub a combination peppermint essential oil diluted in some coconut oil onto a child’s neck and/or the bottom of their feet to help reduce fevers without resorting to synthetic drugs. Peppermint oil’s role as a natural astringent makes it the perfect candidate for treating inflammatory skin conditions such as acne. In addition, its antimicrobial properties will work hard to kill the bacteria that is responsible for acne flare-ups. If you want your skin to feel refreshed and full of zest, you would be hard-pressed to find a better natural skin cleanser than peppermint essential oil. This invigorating oil has calming, anti-inflammatory effects when mixed with a regular body lotion and applied to the skin. In addition, you can mix peppermint oil, lavender oil in some jojoba oil and apply topically to the skin to reduce symptoms of psoriasis and eczema. As mentioned earlier, peppermint oil can do wonders for relieving allergy symptoms due to its ability to reduce inflammation in the nasal passages. You can inhale the invigorating aroma of peppermint oil from an aromatherapy diffuser to help clear up those beleaguered sinuses when the pollen count seems to be at its peak. Peppermint essential oil is an amazing and effective natural pain killer and muscle relaxant for arthritic pain, muscular aches as well as fibromyalgia due to its antispasmodic properties. It is especially helpful in soothing an aching back, sore muscles, neck and shoulder pain. Truth be told, the benefits and uses of peppermint essential oil listed above represent only a fraction of what this powerful natural substance is capable of. From joint therapy to muscle pain relief to easing the singe of sunburn, the versatility of peppermint oil allows for an extensive range of applications in health, wellness and various household uses. With antibacterial, antiseptic, antispasmodic, antiviral, carminative, and even insecticidal properties, it’s clear that there’s not too much peppermint essential oil cannot do, which is why essential oil enthusiasts consider this powerful oil to be an indispensable part of their daily regimen. Lemon essential oil (officially known as “Citrus Limonum”) is a highly concentrated oil that is derived from the rinds of lemons through an extraction process known as cold pressing. Under high pressure, the liquid essence of the lemon is forced out of the lemon rind, releasing a bright, cheerful and unmistakable aroma that smells just like the freshly picked citrus fruit itself, except that it is richer and more concentrated. For my kit, I chose Organic Lemon Essential Oil grown organically in USA as it was purest and highest quality lemon oil I could find and the closest you’ll get to lemons. 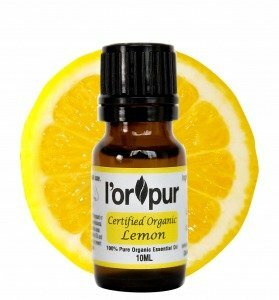 The L’orpur Organic Lemon Essential Oil has been meticulously tested in order to bring you nothing but the best. It is a thin pale yellow liquid with a pure, clean, fresh, citrus-lemony aroma. Not only can lemon essential oil eliminate odors in your home, but it can infuse the air with a clean scent. Interestingly enough, lemon essential oil carries a scent that is both calming and uplifting/stimulating at the same time, and it has powerful disinfectant, antiseptic, antifungal, and astringent properties. Many of us are familiar with the seemingly countless number of lemon-scented household cleaning products on the market, but to be clear, not all of these products contain actual lemon essential oil. In fact, many of them barely contain any real lemon at all! Fortunately, lemon essential oil is an all-natural alternative to imitation chemical cleaners that don’t quite have the potency of the “real thing”. Lemon essential oil can be added to a spray bottle of water in order to clean countertops, tables and other common household surfaces. In addition, in contrast to quite a few of the commercially available lemon cleaning products on supermarket shelves, natural cleaning solutions containing lemon essential oil are completely non-toxic. Many people soak regular dishcloths with lemon essential oil to preserve leather garments and furniture, and this powerful oil is also used to take the tarnish off silver and other similar metals. Lemon essential oil is also commonly used in diffusers to create a cheerful, uplifting environment in the home, and there are a myriad of personal uses for lemon oil including skin, hair and nail care. With so many useful applications for this wonderful citrus-based oil, it’s no wonder why lemon essential oil is a perennial best-seller. Lemon essential oil is a natural disinfectant and detoxifier, and it features wonderful antiseptic properties that can help treat inflammatory skin conditions such as pimples and bumps. Another benefit of lemon oil is its ability to reduce excess oil on the skin, which really helps people who suffer from excessive oil production in their “T-Zone” (the area of the face that includes the forehead, nose and chin). Using lemon essential oil as part of a facial cleansing solution can give your skin a nice, bright glow without looking oily or greasy. Lemon oil will also remove dead skin cells to create a lighter, brighter complexion. Keeping in line with the skincare theme, the powerful astringent properties of lemon essential oil can work wonders in terms of reducing the skin inflammation that can lead to acne outbreaks. You can add lemon oil to your regular skin care products in order to diminish the appearance of blemishes, and also to smooth out areas of the skin that have been affected by the formation of acne scars. There’s something about lemon essential oil that can rejuvenate your hair like few other natural substances can. Many people use lemon essential oil to help their hair become stronger, shinier and healthier overall. In addition, lemon oil can condition the scalp and eliminate the dryness and flaking associated with dandruff. This is perhaps the most famous use for lemon essential oil, because this wonderful citrus fruit has long been associated with household cleaning products. You can use lemon essential oil to clean a variety of household surfaces including countertops, sinks, furniture, etc. And it’s not just about the wonderful scent of lemon – bear in mind that lemon essential oil also contains powerful antiseptic, antifungal and antibacterial agents that can provide potent cleansing power to go along with its pleasant scent. You can mix 5 drops of lemon essential oil with 5 drops each of lavender and frankincense essential oils, and then combine these oils with 1 tablespoon of baking soda and one cup of coconut oil to create a homemade facial wash that will kill acne-causing bacteria while supplying hydration and nutrients to your skin for a vibrant, youthful look. Lemon essential oil can help you shed pounds due to the fact that it contains high levels of limonene, a powerful organic fat-burning compound that specializes in targeting stored fat. Lemon essential oil also contains a substance known as lipolysis, which assists the body in breaking down proteins and fats. In addition, lemon essential oil can help reduce post-workout recovery time by providing relief for sore muscles. By adding 5 drops each of lemon, grapefruit and cypress oil in sweet almond oil and using it as a massage blend, you can kick-start these amazing weight management benefits. The antiseptic properties of lemon essential oil can really come in handy for relieving painful cold sores. You can apply a small dab of lemon essential oil directly to the affected area, and you can also mix lemon oil with coconut oil to create a natural lip balm that can protect your lips from developing cold sores. Lemon essential oil is always a top choice for bringing out the best shine in tables and other pieces of furniture. You can create a homemade furniture polish using lemon essential oil combined with a carrier oil such as olive oil in order to revitalize your wooden furniture and give it a refined polish. The antibacterial, antifungal and antiseptic properties of lemon essential oil have been well-documented for years, and it’s a potent weapon against various symptoms of the common cold. You can add four to five drops of lemon essential oil (along with two drops of tea tree oil) to a bowl of steaming water and inhale the steam in to soothe a sore throat. You can also rub lemon essential oil on your chest to help relieve congestion. If you’re dealing with respiratory problems, you can add a few drops of lemon essential oil to a diffuser to inhale a purifying aroma that will relieve breathing difficulties. As the points above illustrate, this wonderful citrus-based oil offers a litany of useful applications, from skin care to household cleaning, and everything in between. Once you start putting lemon essential oil to work around the household, you will quickly see why this powerful natural oil remains a favorite choice among essential oil enthusiasts! Tea tree oil (officially known as “melaleuca alternifolia”) is derived from a shrub-like tree that is native to certain parts of Australia, and it is known for its potent antiseptic properties. Other varieties have been cultivated elsewhere, but melaleuca alternifolia is not produced outside Australia. For that reason, I hand-picked Wild Crafted Tea Tree Essential Oil grown in Australian as it was purest and highest quality tea tree oil I could find and the closest you’ll get to nature. 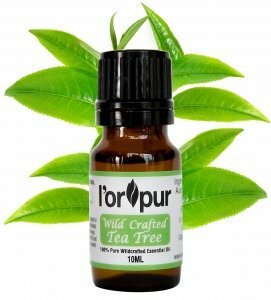 The L’orpur Wild Crafted Tea Tree Essential Oil is produced by steam distillation from leaves and twigs and has been meticulously tested in order to bring you nothing but the best. It is a thin clear liquid and has a warm fresh, herbaceous, woody, earthy fragrance. Long before the essential oil industry latched on to the many health benefits of this powerful natural substance, the native aboriginal population of Australia had already been using tea tree oil for generations due to its remarkable range of health benefits. Tea tree oil is one of the most well-researched essential oils on the market, and with each new discovery, the list of benefits that this highly potent oil provides continues to lengthen. Tea tree oil is a highly concentrated essential oil, so it is commonly diluted with a carrier oil before being used for various ailments. Foremost and what makes tea tree outstanding in comparison to other remedies is that it is active against all three varieties of infectious organisms: bacteria, fungi and viruses. One of the most common ways in which tea tree oil is used is as a topical treatment for various skin conditions such as acne, sunburns, insect bites, psoriasis, and cold sores. Tea tree oil is also immensely popular in the field of aromatherapy, where the oil is often put into a diffuser to create a pleasant aroma that is believed to relieve stress and promote relaxation. Since tea tree oil has such powerful antiseptic, anti-bacterial and anti-fungal properties, it is often used as a primary ingredient in various organic household cleaners as well. It should be noted that you cannot ingest tea tree oil due to its high potency, but through aromatherapy, topical application and careful dilution, you can still receive the many wonderful benefits that this veritable natural cure-all can provide. Tea tree oil is commonly used today in a wide variety of skin care products, and it is lauded as one of the best home treatments for inflammatory skin conditions such as acne, eczema and psoriasis. One study revealed that tea tree oil is just as effective as the synthetic chemical benzoyl peroxide, but it produces none of the negative side effects such as dry, red or peeling skin. As mentioned above, acne is one of the most common skin conditions for which tea tree oil can be effectively used for. Applying tea tree oil to inflamed areas of the skin will unblock irritated sebaceous glands and disinfect the pores, leaving the skin with a clean and refreshed feeling. In addition, because tea tree oil does not strip your skin of its naturally occurring oils, it is also commonly used to help safely diminish the appearance of acne scars. Tea tree oil is a powerful stimulant, which makes it a great candidate for encouraging new hair growth. Individuals who suffer from hair loss or dandruff can apply a few drops of tea tree essential oil diluted in Argan oil onto their scalp. This will stimulate blood flow to the area, which encourages healthy follicle structure and in the process moisturizes your scalp. This can help you hold onto more of your hair, and can aid in preventing the itching and flaking that can come from dry scalp and dandruff. Using a tablespoon of tea tree oil combined with 3 tablespoons of coconut oil and 1 ounce of all-natural shampoo, you can create a powerful natural blend that will kill head lice. Simply apply the mixture into your hair and scalp, and cover your head with a shower cap for about 5 to 10 minutes. Then, remove the shower cap and comb thoroughly through the hair to get rid of the lice. Wash hair as normal. You can combine 12 drops of tea tree essential oil with two tablespoons of honey, one tablespoon of apple cider vinegar, two tablespoons of fractioned coconut oil, and a couple of capsules of live probiotics to create an all-natural facial wash that will leave your skin feeling refreshed and thoroughly clean. The antifungal properties of tea tree oil have been well-documented, and this can really come in handy when it comes to fighting yeast infections. By mixing 3 drops of tea tree essential oil with 2 tablespoons of wildflower honey, you can create a natural topical blend that can kill the fungus behind yeast infections. As mentioned earlier, tea tree oil is a powerful antiseptic, and it can be applied directly to heal cold sores, as well as to protect the skin from further infection. Apply 1-2 drops neat and make sure to do a skin test patch before application. Not only will tea tree oil protect your furry friend from fleas, but it can also kill fleas that are already present on their skin. You can create an all-natural flea spray using a few drops of tea tree oil diluted into half cup Apple Cider Vinegar and half cup of warm water. Stir this mixture until thoroughly blended, and then pour into a spray bottle to apply to your pet’s fur. Tea tree essential oil has powerful antiviral properties that can kill the virus responsible for the development of warts. Simply apply one drop of pure tea tree essential oil directly onto the wart, and then cover it over with a bandage. Keep the bandage on for at least 8 hours, then remove it and wash the affected area. Repeat these steps as necessary until the wart disappears. The anti-fungal properties of tea tree essential oil make it one of the most popular choices treating nail fungus. Simply apply undiluted tea tree oil to the affected area with a clean cotton swab, repeating this treatment daily until the fungus is gone. As a powerful antiseptic, tea tree essential oil is often used to treat worrisome skin inflammations such as boils. Apply a couple of drops of undiluted tea tree oil onto the boil using a clean cotton swab to clear up the infection. The anti-inflammatory properties of tea tree oil are a perfect match for inflammatory skin conditions such as eczema. Simply mix 3 drops of tea tree essential oil and 2 drops of lavender essential oil with one teaspoon of coconut oil to create an all-natural, soothing lotion that will alleviate the symptoms of eczema. Dilute a few drops of tea tree oil in a carrier oil such as jojoba oil, and then apply it directly to the affected area of the skin with a cotton ball. Let it sit on the skin overnight, and then wash it off in the morning. Repeat daily as needed. The strong antiviral properties of tea tree oil make it the perfect solution for attacking the common cold. You can inhale the aroma of tea tree oil through an aromatherapy diffuser, or you can add a few drops to a pot of boiling water and then carefully inhale the steam to clear up those head colds. Apply tea tree oil mixed with lavender oil diluted in a carrier oil to cuts, scrapes or small surface wounds in order to fight off infection. Be sure to clean the injury first with water and hydrogen peroxide before applying the oil mixture. As you can see, tea tree oil offers dozens of highly useful applications in everyday life. Be sure to add this powerful essential oil to your arsenal of home remedies! Eucalyptus (official name: Eucalyptus Globulus) is a flowering tree that is native to Australia, but is commonly cultivated in tropical and temperate areas of the world such as Africa, the Indian subcontinent and the Mediterranean. For my kit, I chose Organic Eucalyptus Essential Oil grown organically in Spain as it was purest and highest quality eucalyptus oil I could find and the closest you’ll get to the eucalyptus tree itself. 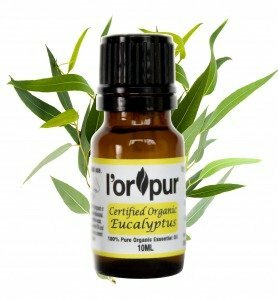 The L’orpur Organic Eucalyptus Essential Oil is extracted by steam distillation and has been meticulously tested in order to bring you nothing but the best. It is a thin clear colorless liquid with a fresh, woody, earthy, slightly camphorous, sweet, fruity aroma. Also known as “Tasmanian Blue Gum”, this plant has long held a place of prestige in Aborigine folk medicine due to its highly potent antiseptic, antimicrobial and antibacterial properties, and the essential oil that is derived from the leaves of the eucalyptus plant offers a litany of medicinal uses for this very reason. Bear in mind that eucalyptus essential oil is highly concentrated and highly potent, which means that a small amount goes a long way and produces remarkable results. With such a wide range of health benefits, it is no wonder that eucalyptus essential oil is frequently found in the core collections of essential oil users. Eucalyptus essential oil can provide a soothing, uplifting and invigorating aroma when diffused, and its unmistakably potent scent can provide a much-needed pick-me-up when you’re feeling low on energy. Many massage therapists use eucalyptus essential oil in their practice to create a soothing and cooling experience that is at once calming and revitalizing. You can combine eucalyptus oil into the hand cream or lotion of your choice to invigorate and moisturize your skin, and it is well known for doubling as a highly effective dirt and grease remover after a long workday. Many of us are well familiar with eucalyptus being used in certain cough medicines and cough drops, and although these store-bought remedies do have some merit, they pale in comparison to the Herculean potency of eucalyptus essential oil. Its effectiveness in terms of treating a wide range of respiratory problems has been well-documented, and because eucalyptus oil possesses antiviral, antibacterial, antifungal, antimicrobial, and anti-inflammatory properties, it can act as a powerful decongestant. In addition, the antiseptic qualities of eucalyptus essential oil make it a go-to treatment for healing cuts, wounds, abrasions, sores, and ulcers, and it is also a highly effective salve for various insect bites and/or stings. Eucalyptus essential oil can stimulate circulation when rubbed into the scalp, waking up the follicles and promoting better hair growth. It is also an effective moisturizer for hair, especially when combined with argan oil and coconut oil. Not only will eucalyptus oil nourish and revitalize your hair, but it can ward off itchy scalp and flaking that can lead to dandruff. Eucalyptus essential oil provides a cooling and soothing effect for the skin, and it is often used in topical applications to treat various skin infections. As mentioned earlier, eucalyptus oil is also commonly used in massage therapy due to its ability to invigorate the skin and leave it with a fresh, clean feeling. Germs don’t stand a chance against eucalyptus essential oil. Not only does it possess powerful antibacterial and antiviral properties, but since it also works as an effective expectorant, cleansing your body against nefarious microorganisms and toxins that can lead to compromised immune function. People who suffer from joint or muscle pain will be glad to know that eucalyptus essential oil has potent analgesic and anti-inflammatory properties. Simply rub or massage eucalyptus oil diluted in some sweet almond oil onto the skin of the affected area to bring relief from stress, soreness and muscle pain. As a formidable antiseptic, eucalyptus essential oil can be applied directly to cold sores to prevent the spread of infection, and to bring cooling, soothing relief to the affected area. According to a study published by NYU Medical School, eucalyptus was found to be an effective remedy for sinusitis. To relieve congestion and nasal passage, add 4-5 drops of eucalyptus essential oil to a bowl of steaming water and inhale the vapors. The astringent and anti-inflammatory properties of eucalyptus oil can help reduce the inflammation associated with allergy flare-ups. You can diffuse 6-8 drops of eucalyptus or apply it topically diluted in olive oil to the chest and temples to help with respiratory issues associated with allergies. There are several oral care products on the market that contain eucalyptus as an active ingredient, because this powerful oil is known for having germicidal properties. When swished around in the mouth, 2-3 drops of eucalyptus essential oil diluted in a cup of warm water can provide a strong defense against cavities, gingivitis, plaque, and other common dental hygiene maladies. Eucalyptus oil has long been known as a powerful natural pesticide and bug repellent, and it is commonly used to treat head lice. Many of the lice treatments on supermarket shelves are loaded with toxic chemicals and other questionable ingredients that should not be absorbed into the skin. On the other hand, eucalyptus essential oil can provide an all-natural alternative that is a far healthier treatment for lice. Simply comb a blend consisting of 3-4 drops of eucalyptus essential oil, 2-3 drops of tea tree oil diluted in 2 tablespoons of coconut oil through the hair to remedy a lice infestation. The primary driver behind arthritis is latent inflammation in the body, which is why the anti-inflammatory properties of eucalyptus essential oil are so helpful in treating arthritic conditions. You can rub a few drops of eucalyptus oil diluted in sesame oil onto an affected area, and its natural analgesic qualities can help soothe arthritis flare-ups and reduce the inflammation that is the root cause of this condition. When you first inhale the aroma of eucalyptus essential oil, the word “clean” will definitely come to mind. While this natural substance has plenty of applications in terms of health and wellness, eucalyptus oil is also a powerful and highly effective cleaning agent. It can work wonders as a spot remover, as you can apply it to clothing, carpet, and basically any other type of fabric to eradicate unsightly spots. You can even use eucalyptus essential oil to loosen up and remove sticky gum from your shoes. Not only can eucalyptus oil clean various surfaces, but it’s also highly effective at cleaning the air! You can add a few drops to an essential oil diffuser to create a refreshing and clean aroma, and also try adding a couple of drops to your dryer filter and vacuum cleaner filter to help sanitize those places where dirt loves to hang out. The stimulating properties of eucalyptus essential oil make it a powerful weapon against stress, anxiety and mental exhaustion. By adding a few drops of eucalyptus and lavender essential oils to a diffuser, you can create a refreshing aroma that will stimulate mental activity and increase blood flow to the brain.Perhaps the most amazing thing about eucalyptus essential oil is that even after all of the benefits we have listed above, we haven’t really even scratched the surface. When you consider everything that this amazing natural oil has to offer, it would be a wise move to add it to your collection of must-have natural remedies! 1. 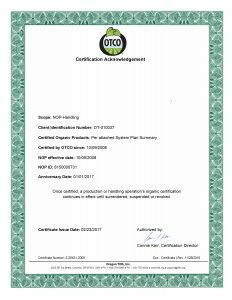 What Is Certified Organic Essential Oil? While a lot of manufacturers throw the word “organic “ around, they seldom back their claims with a certification from a third party establishment. It is just a tag that they basically confer on their own product, so can it really be trusted? Of course not! But at L’orpur, we do things differently. All essential oils (except the wild crafted tea tree) in the L’orpur Starter Kit are certified Organic by Oregon Tilth, USA. This is a non-profit and accredited certifying agent based in Oregon and let me tell you, they do not give their certificates easily. The certification process took 6 months and the agency checks every aspect of the farming and harvesting procedure to ensure the use of both organic and sustainable practices. 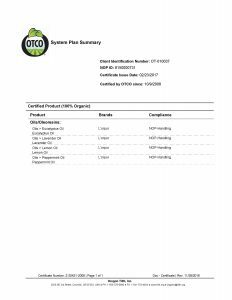 L’orpur oils have a badge of certification from the Oregon Tilth, so you know we mean business when we use the word “organic” on our labels. 2. Are Organic Essential Oils Better Than Standard Essential Oils? Let me put it this way, standard essential oils cannot hold a candle to certified organic essential oils. As discussed above, what is in your essential oil will eventually make its way into your body. Typically, essential oils are either applied topically or you breathe them in when they are used in aromatherapy. Moral of the story, you certainly don’t want to use a product that contains residues of the chemical pesticides, fertilizers and herbicides used on the plant material. And, don’t buy into the argument that these poisonous compounds don’t get into the oils during the extraction process, because that is loads of humbug. A second point to consider is that standard oils rarely contain more than 20% essential oil, the remaining 80% is usually a cheaper, fragrant oil or propylene glycol. To cut a long story short, standard oils are usually poor quality, contaminated essential oils that yield little to no therapeutic benefits. In fact, they might do you harm by triggering allergic reactions and respiratory problems. 3. Why Are Organic Essential Oils More Expensive Than Standard Essential Oils? The reason chemical pesticides, growth boosters and herbicides are used in farming is to increase the output. Organic farming procedures, although healthy and safe, offer 20% of the output as standard farming practices. Along the same lines, using low pressure and low temperature steam distillation to extract essential oils yields 20% of the output that manufacturers get from non-organic extraction processes like solvent extraction. So, you do the math here. First, makers of certified organic essential oils buy organic botanicals which are priced considerably higher than standard plant raw material. Then, we put in a cost intensive process to extract the oils organically. This means that in terms of costing, a single bottle of organic certified essential oil costs the manufacturer 5 to 8 times more than a bottle of standard essential oil, hence the higher price tag. Most manufacturers transfer the entire burden of increased manufacturing costs to the buyers. But, we at L’orpur split the higher expenses, so you get top quality oils, which are the closest you can get to the actual plant material and nature, for the most affordable rates. 4. Why Should You Buy L’orpur Organic Essential Oils Starter Kit? The first thing that you should consider when buying essential oils is the quality of the product. You will either use these oils on your skin or inhale them. With a high dermal and pulmonary absorption rate, a large quantity of these oils will eventually make it inside your cells and body. So, there can be absolutely no compromise on quality. You should be looking for organic and pure oils. Of the 5 oils in the L’orpur Essential Oils Starter Kit, four are certified organic while one is wild crafted, which means that the plants from which the botanical raw material is sourced have never been subjected to chemical treatments. Furthermore, L’orpur essential oils are derived from indigenous raw material, so they are the closest that you can get to the therapeutic properties of the plant itself. Every L’orpur bottle contains nothing but 100% pure, undiluted and unadulterated essential oil, and that is a L’orpur guarantee. If top quality does not give you impetus enough to buy the L’orpur Kit, take a look at our prices. They are among the most affordable in the market. Now, that is what can be called twice the gain for your money! 5. I Can Get These Essential Oils Cheaper Elsewhere, Why Should I Buy From You? Yes, without a doubt you can get these oil for a few bucks both online and offline. But, it is a L’orpur guarantee that you won’t get our quality for a price lower than ours. One thing that I must clarify here is that although there is no need to spend exorbitantly on essential oils, price should certainly not be a key deciding factor when buying these natural extracts. With L’orpur oils, you get the most affordable rates for the highest quality and 100% pure, unadulterated, certified organic essential oils. Plus, you get help on how to use these oils though a 48-page e-brochure (emailed to you) and lifetime support. I bet, none of those cheap oil makers bother with any of these extras. 6. Why Is The Tea Tree Essential Oil In The L’orpur Kit Wild Crafted And Not Organic? You will notice that the lavender blooms used to extract the lavender essential in the L’orpur Kit is sourced from Bulgaria, while the eucalyptus comes from Spain. It is not like you cannot get these botanicals in the US or Australia. But, when it comes to essential oils, the soil, environment and weather all make a significant difference. It has been found through studies that essential oils extracted from indigenously grown plants offer the most benefits. As far as tea tree oil is concerned, Australia has extensive, natural plantations of this tree. These plants are in their natural habitat and have never been treated by chemical products because they have grown on their own in the wild without human interference. In other words, they are 100% Mother Nature’s offering, which makes them the best for extracting tea tree oil. We did consider organic botanicals for our tea tree essential oil. But then we found that 100% pure, wild crafted Australian tea tree oil is the best, and since we want to bring you nothing but the best essential oils, we refused to settle for second best, which in this case was wild crafted tea tree oil. 7. Are L’orpur essential oils good enough for use in skin care? All our oils are 100% pure, therapeutic grade essential oils, which makes them perfectly safe for topical applications. However, because we offer oils of the highest quality, it is imperative that you dilute them appropriately before use. Essential oils, whether bought from us or elsewhere should never be used on the skin undiluted. Also, because these natural extracts have been derived from plant matter, it is best to do a patch test before using any essential oil on your skin. 8. Can I Buy This Product If I Live Outside The United States? Yes, you can. The L’orpur Essential Oil Kit can be shipped anywhere in the world at a flat rate of $9. International delivery times vary between 10-12 days. 9. What Other Essential Oils Are Available From the L’orpur Brand? For now, L’orpur is only offering 5 essential oils as part of its Starter Kit. These 5 oils were chosen because of the multiple ways in which they can be used in home care, health management, skin care, pain management and aromatherapy. As a matter of fact, lavender, eucalyptus, lemon, peppermint and tea tree are among the most frequently used essential oils in the world and you get all 5 of them in the L’orpur Kit. In the future, we certainly have plans to add to our range of essential oils and we will notify all our readers and buyers of these new additions. You can also look at our 5 Blends Kit which are again 100% pure essential oils blends which can be used if you are feeling stressed, anxious or even to combat the blues. Are you in pain; no longer with L’orpur Pain Relief Blend. Why are so many people saying that your oils are so much better than doterra? Hi! Can these oils be ingested? The lemon and peppermint can in minute quantity. However you need to consult with your doctor before doing so. My friend actually uses this brand and recommended it to me last fall. I had completely forgotten about it! She moved out of state so this is why I must have forgotten. She swears by it and says it is the most potent without being irritating for her skin. I will have to get some. And YES! “Australian Tea Tree” is the best kind you can get. I have had several brands myself but if it isn’t from that country, it is no good. Going to order some ASAP. I have confirmed purchase for your original essential oil stater kit and 2nd purchase of your pain relief EO. How do I use this starter kit to cure nerve disorder. And your pain relief EO works wonderfully on my husband whom has been in pain for the last five months. It works better than pain killers. He now does not need to rely on pain killers any more. Thank you so much Olivia. I’ll definitely spead words on how wonderful and fast effective is your L’orpur Pain Relief EO. Thank you for such a wonderful compliment, I am extremely pleased that L’orpur has made such a big difference for your husband. L’orpur better than painkillers – simply priceless. I hope he is well on his way to full recovery and yes, I agree, keep those nasty painkillers at bay. Thanks again for spreading the word, I am very grateful. For the nerve pain disorder, other than topical application of L’orpur pain relief blend, you could try to do a compress. Fill a bowl with water, add 6 drops of essential oils (geranium, clove, eucalyptus or juniperberry or a combination of them) and stir well. Place a washcloth, wring and apply to the affected areas. Leave in place for 5 minutes. Warm water relaxes whilst cold water will relieve inflammation. Repeat 3 times and do that 3-4 times per day. If you prefer a bath, add 10 drops of essential oils to 1 tsp of carrier oil (almond or coconut) and 1 handful of Epsom salt to your bath of warm water and soak in for at least 20 minutes. You could use cypress, peppermint, wintergreen or birch essential oils or a combination of them. If you have any other queries, please don’t hesitate. Hi Olivia! I recently purchased your essential oil kit but with all the different recipes you have in your site, i was wondering what are some of your favorite therapeutic essential oil brands to use in your recipes. I saw that you mentioned RMO once. Is that your favorite? Any others? Thank you. Just in case you missed my 48-page brochure that comes along with the Organic Starter Kit, I am resending it to you. I don’t go with Doterra and YL as I found them to be very expensive and poor quality unfortunately, nothing against them just my personal opinion. I buy my specialty oils from AMOILS and the other essential oils from Rocky Mountains Oils. I have tried others, but honestly, they are not worth the time and money. I have been trying to fix my toenail fungus with tea tree oil, but the results were either too slow or just not showing. The only effective one is the wild crafted one I got here. I mix it with 1-2 drops of lavender and add the tea tree/lavender combo to coconut oil. i have done that for 8 days and my nail has never looked any better. Not totally fixed, but nice result so far. Is there a way to post pics on your website? Thanks for sharing. Unfortunately, there is no function to add attachments, photos, etc. Nice post and good coverage of questions in the FAQ. One question I had is can you ingest lorpur essential oils. Very good question. It is hard to make a blanket statement about ingestion of essential oils. I would request that you consult with your doctor before doing so in case of any underlying health conditions. Personally, I have 1-2 drops of the organic lemon essential oil in my water a few times a week. I ordered this organic set. If this is not a bargain, i dont know what is. Olivia, plz confirm that i will receive 5 essential oils, a carry case, e-brochure, and your support. I have a small complaint to make about shipping – why is it not free for UK. And how long do i need to wait before i receive it. Thanks for your order and yes I confirm. You can download the e-brochure from the purchase page itself. If you are having trouble, simply send me an email. All my products are in the US, therefore free shipping is only available in the USA. It is a flat $9 fee for overseas postage, which is very reasonable. It takes about 10-12 days to reach UK. Received mine too. No comparison to YL or doTerra, yours are much much much better. Absolutely love them! I am glad you are in love with them. THEY ARE THE BEST IN THE WORLD!!! I will use your bulgarian lavender this evening for my sleeping issues. I cant wait! Thank you, I must say I am surprised the essential oil set made it this quick to your home. You comment is really appreciated and I am extremely pleased that you are a happy customer.